Winter Service check now £30 + VAT including; lights, wipers, battery, tyres, windscreen, oil, screen wash, and antifreeze. 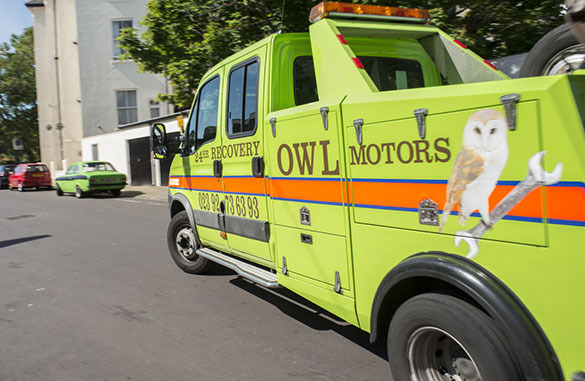 Welcome to the Owl Motor Services website. We are an independent family business, based in Portsmouth, which started trading as a motor vehicle repair facility in 1983. Since then we have expanded to include a 24-hour vehicle recovery service. 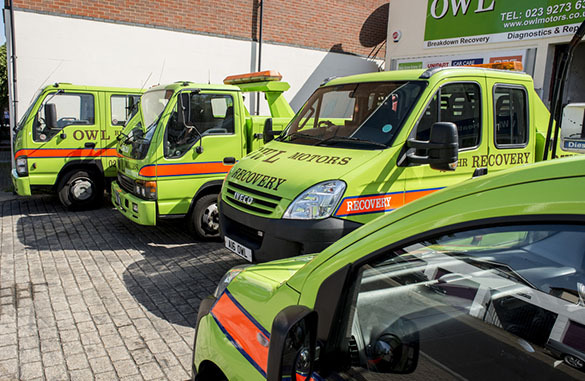 Our recovery trucks have become well known in the area for their distinctive bright green livery. Owl work hard to provide the best service and we are proud to say that in recent independent survey we achieved 85% for customer satisfaction and 85% for technical knowledge!! Servicing on all makes and models of vehicles undertaken. We’re proud to be RAC approved, assuring you of fair pricing, great workmanship and excellent customer service. Book in online.